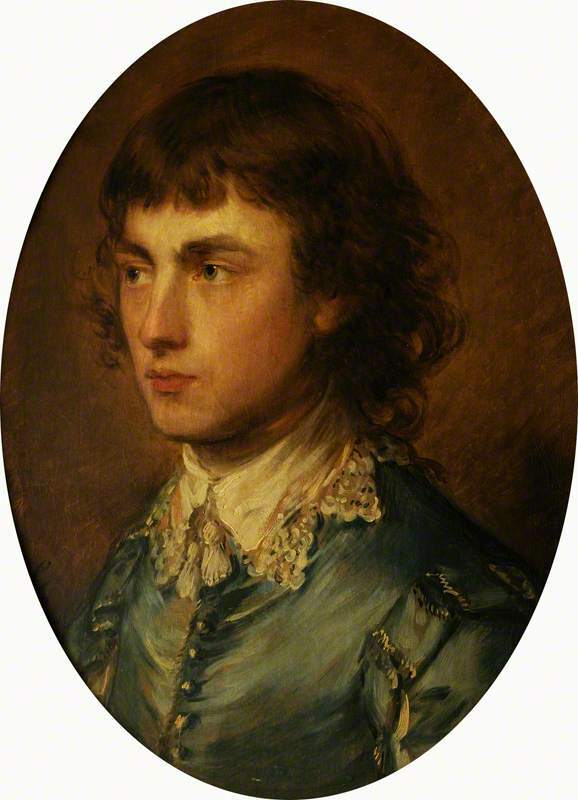 Gainsborough Dupont (1754-1797) by Thomas Gainsborough. National Trust, Waddesdon Manor. I recently strolled through the show at the NPG, as I had some time between a couple of West End shows. I was struck by his portraits of his daughters as girls chasing a white butterfly as well as his later portrait of them as young women yearning, it seems, for marriage. That latter portrait it is rather like an advertisement of their dewiness and his own determination for them to be deigned desirable. The portrait is even more sadly touching when one knows their history – how one divorced only a few weeks after her marriage and the other descended into early dementia. The narrative sadness was alleviated for me, however, when I happened upon the portrait of his nephew Gainsborough Dupont, which is the portrait that everyone seems to be discussing when friends get together to discuss such things as 18th century portraits of 17-year-old boys who wear bangs and blue satin jackets with lace collars. Dupont was the son of Thomas’s older sister Sarah and seems to have become a member of his uncle’s household in Bath from the mid-1760s. The earliest evidence of Dupont living with his uncle is a portrait known as the Pitminster Boy, which shows the eager young teenager acting as a studio assistant, holding his uncle’s palette and proffering him paint brush. 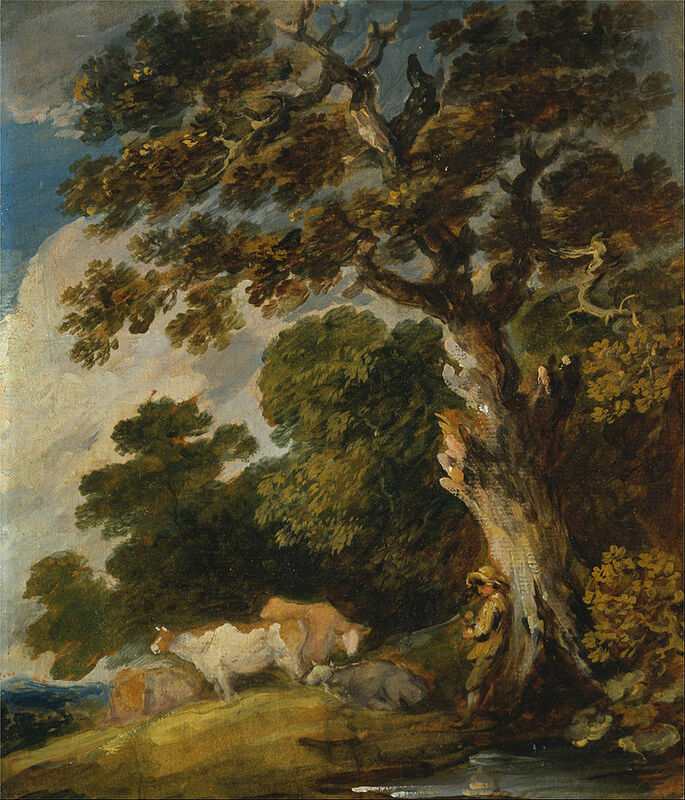 He was apprenticed to Gainsborough from 1772 until 1788, the year of the elder artist’s death. 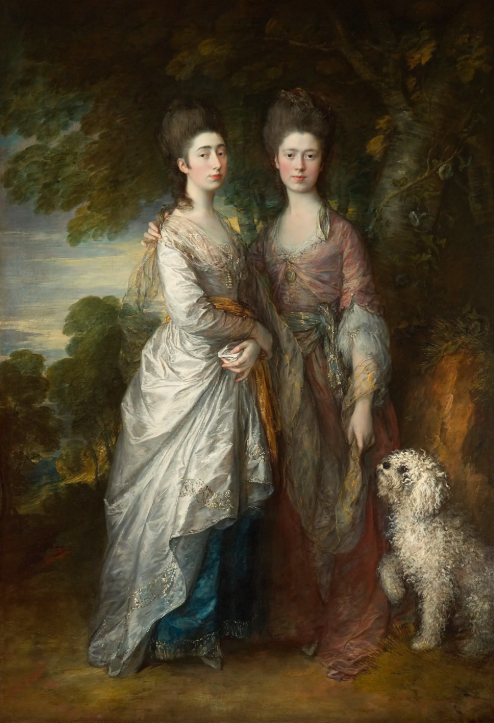 The diffident young man was the only assistant Thomas Gainsborough ever employed. Dupont took over Gainsborough’s studio in Schomberg House in 1788, and moved to Bloomsbury in 1793 following the death of Gainsborough’s widow. He painted portraits and landscapes in a style similar to that of his uncle. 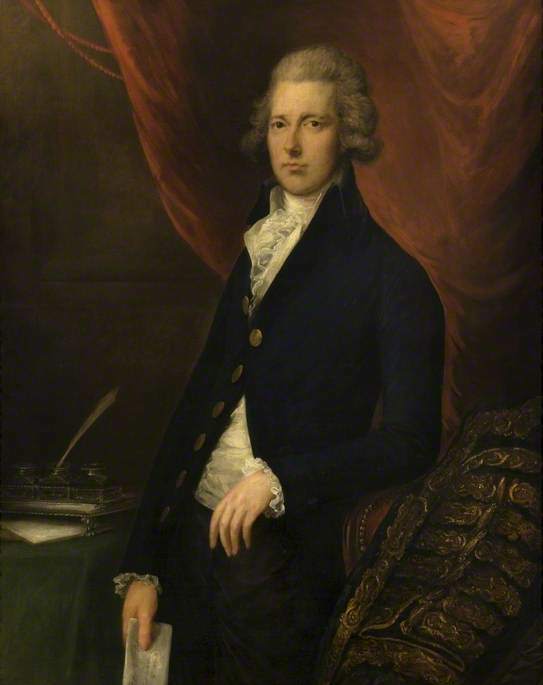 William Pitt the Younger (1759-1806) by Gainsborough Dupont. Glasgow Museums. Marcel Duchamp’s sister Suzanne studied at the Ecole des Beaux-Arts in Rouen, where in 1911 she married a local pharmacist but divorced him two years later. Shortly after World War I broke out, she moved to Paris to be nearer to Marcel and where she served as a nurse’s aid. Marcel left for New York in 1915. The next year Jean Crotti, a painter and friend of Marcel’s, returned to Paris, bearing news of Marcel and of the exciting art being made in New York. 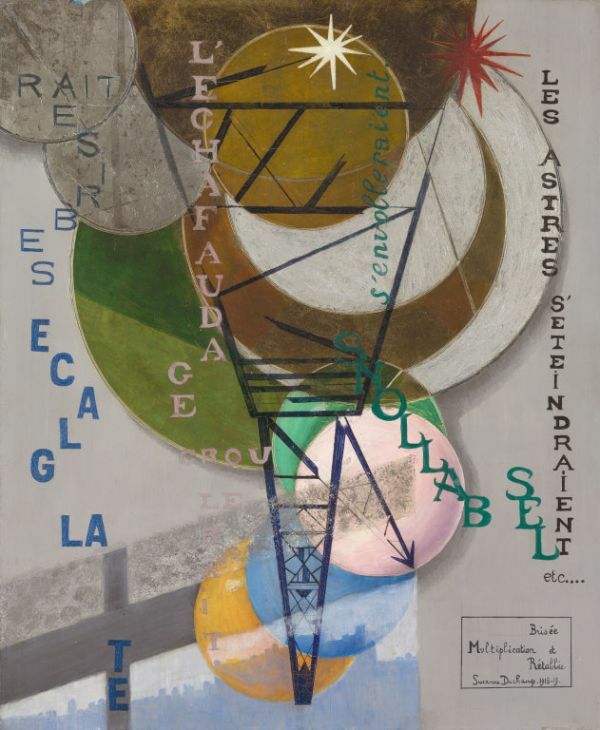 Between 1916 and 1919, Suzanne Duchamp, part of the Dada movement, developed her work further in two key paintings: Radiation de deux seuls eloignés [The Radiation of Two Solitary Beings Apart] and Multiplication brisée et rétablie [Broken and Restored Multiplication]. Her most productive period of artistic activity, however, began about 1919 when she and Crotti were married. As a wedding present, Marcel sent them instructions for Ready-made malheureux [Unhappy Readymade], which involved suspending a geometry textbook on the porch and letting the wind and rain gradually tear it apart. 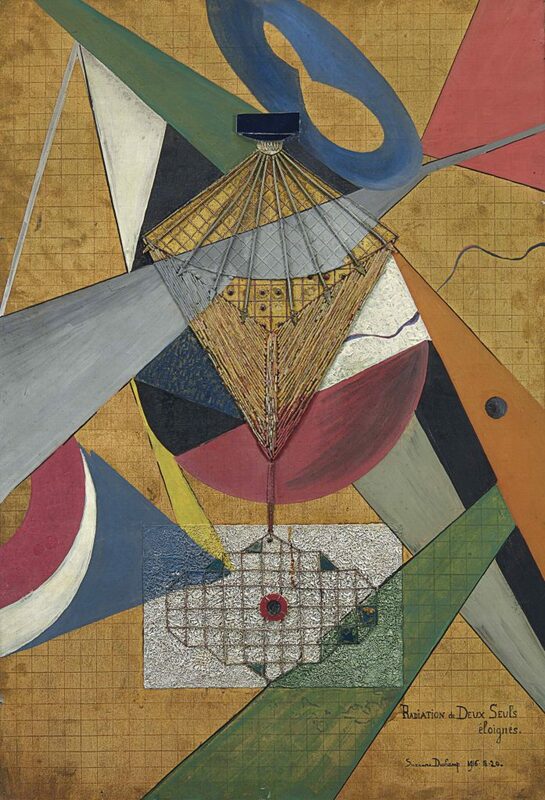 In 1920, Suzanne showed several of her works at the Salon des indépendants, along with Francis Picabia and Crotti. In 1921 she and Crotti, who had maintained a certain distance from Dada events, mounted a two-person show of their work at the Galerie Montaigne. Crotti took the lead in moving the couple away from Dadaism altogether. By 1922, Suzanne had begun making figurative paintings in a naive style resembling the work of Rousseau and even Grandma Moses. Call her in this period Sister Duchamp. Although in later years Crotti received more attention, she continued to exhibit her work. She even had a one-woman show in Paris in 1956. 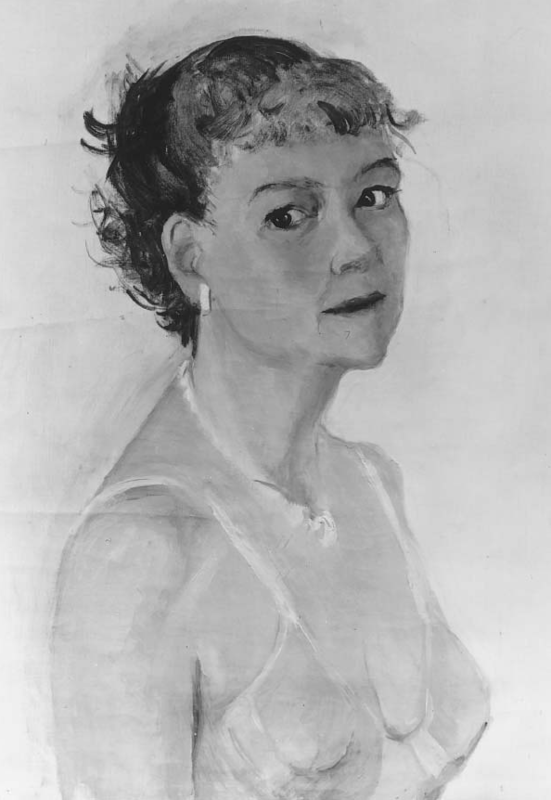 Suzanne Duchamp died in 1963. Charles Pollock was born in Denver in 1902. He was the oldest of five brothers, which included Jackson. 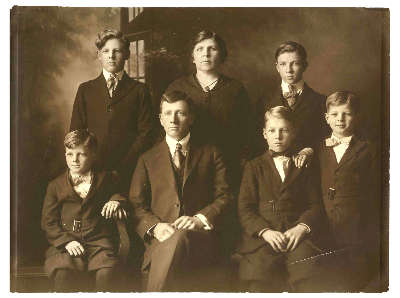 Their father was a drifter – a handyman, a jack-of-all-trades – who moved his family throughout the west, finally settling in California where Charles worked for The Los Angeles Times and studied at the Otis Art Institute. From 1938 to 1942, Charles lived in Michigan, where he worked with the United Automobile Workers and supervised mural painting and graphic art for the Work Projects Administration. After visiting Michigan State University in 1942 for a mural commission, Pollock joined the faculty. During his 25-year tenure there he met his future wife, Sylvia Winter, taught lettering and calligraphy and experimented with line and color. When Pollock began teaching, he was a Social Realist, strongly influenced by the Mexican muralists. When he left, he was an abstract painter. 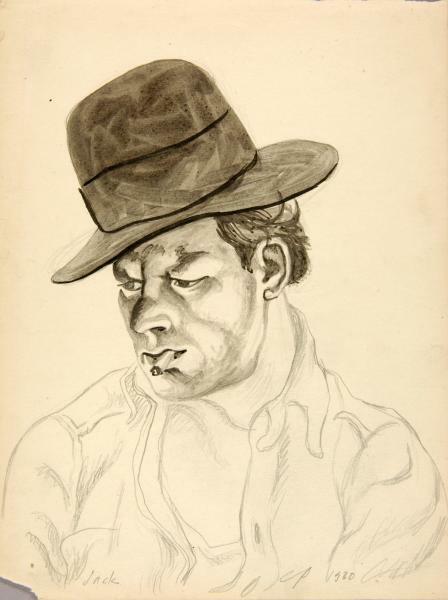 Jack (Jackson Pollock), 1930, pencil and brush and ink on paper, by Charles Pollock. Smithsonian American Art Museum. Charles’s influence on his younger brother Jackson Pollock was … well .. determinative, I guess is the word, for he convinced Jackson to become an artist and follow in his footsteps since he was the first one in his family to have the audacity and belief in himself to study art. Back in 1926, he had left Los Angeles for New York and studied with Thomas Hart Benton at the Art Students League. In 1930, Charles and another artist brother, Frank, persuaded Jackson to leave Los Angeles and come to New York, where he too studied with Benton. “My work with Benton was important as something against which to react very strongly, later on,” Jackson claimed. “In this, it was better to have worked with him than with a less resistant personality who would have provided a much less strong opposition.” I’ve often wondered, as well, what part sibling rivalry played in his career as he pushed Charles Pollock just outside the frame of his own fame. 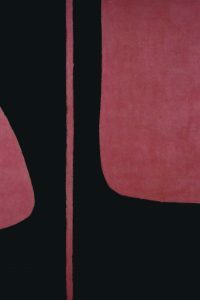 Rome Eight, circa 1962, by Charles Pollock. Peggy Guggenheim Collection. 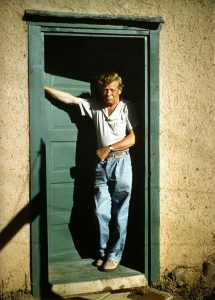 Charles Pollock in Taos, New Mexico. 1956. Photograph by Sylvia Winter. “For the female of the species, it’s a fatal thing for an artist to marry; her consciousness is too much disturbed. 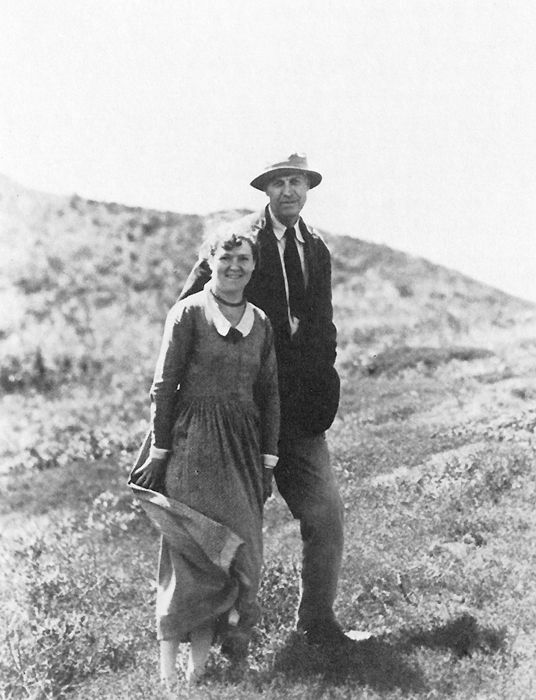 She can no longer live sufficiently within herself to produce,” said Josephine Hopper who met Edward at the New York School of Art but didn’t marry him until they were in their 40s. He discouraged her, made fun of her, abused her, denigrated her, and did everything “to negate my entity,” she said. She lost her identity as an artist and became “Hopper’s wife.” Until then, her friends had been avant-garde artists. She had exhibited in Paris. But she became subsumed in his art and his career. Jo became Ed’s only model. She created characters for his work. She transformed herself into women alone. Women idle, Women waiting. She is a woman in a train compartment. She is a woman in the office at night. She is a woman at a New York movie. She is a woman in the sun. But she is seldom anymore a woman at an easel. 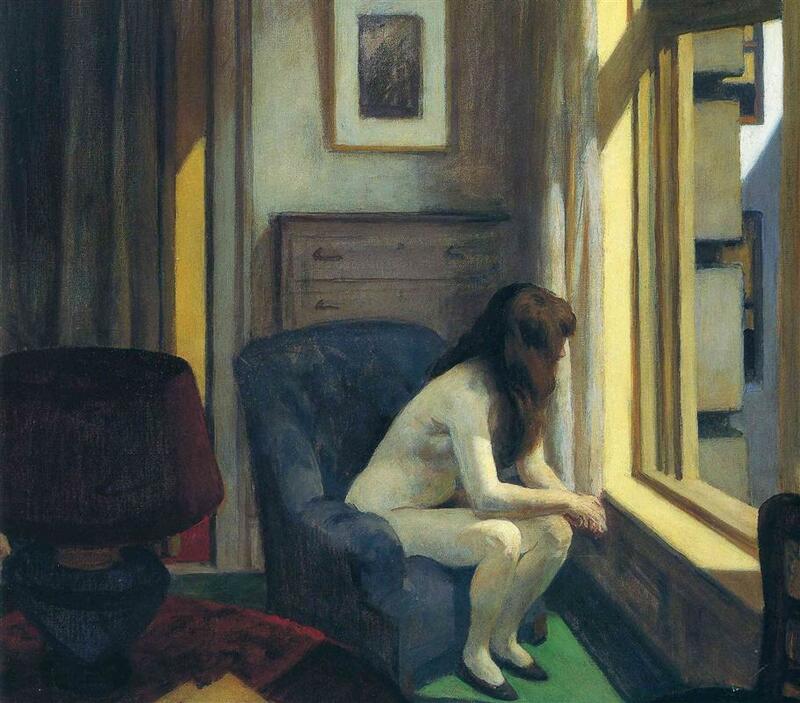 “Eleven a.m.” by Edward Hopper. Model, Jo Hopper. 1926. As Edward Hopper’s wife and companion for more than 40 years, Jo influenced his work in numerous ways. 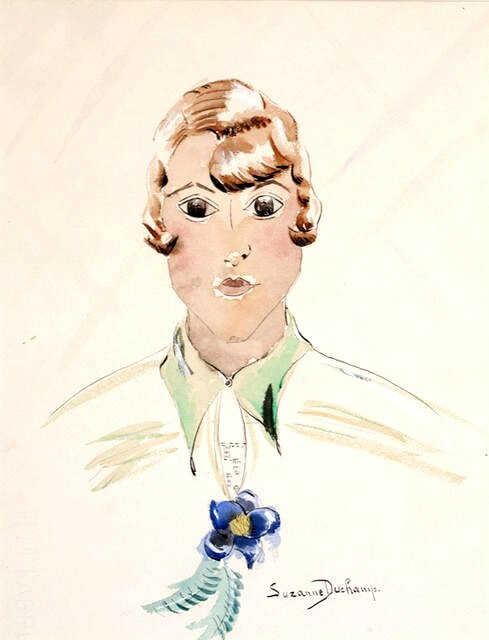 Perhaps most importantly, it was her example that inspired him, during the summer of 1923, to take up watercolor in a more serious way. A number of Jo’s works depict motifs that would later become important for her husband. The watercolor Shacks, done in 1923, depicts two houses behind a dead tree, a subject similar to many of Hopper’s later works. Jo’s watercolor Movie Theater—Gloucester foreshadowed Edward’s interest in depicting movie theaters; he produced a drypoint of the subject in 1928, and then returned to it occasionally, most famously in the oil painting New York Movie (1939). Beginning in the mid-1920s, Jo became her husband’s only model. It was she who thought up the names for a number of her husband’s paintings, including one of his most famous oil paintings, Nighthawks Despite their complicated relationship, she helped when her husband felt insecure about a painting in progress. As late as 1936, Jo reported that her husband was highly competitive and that her starting a work would frequently inspire Edward to start his own. 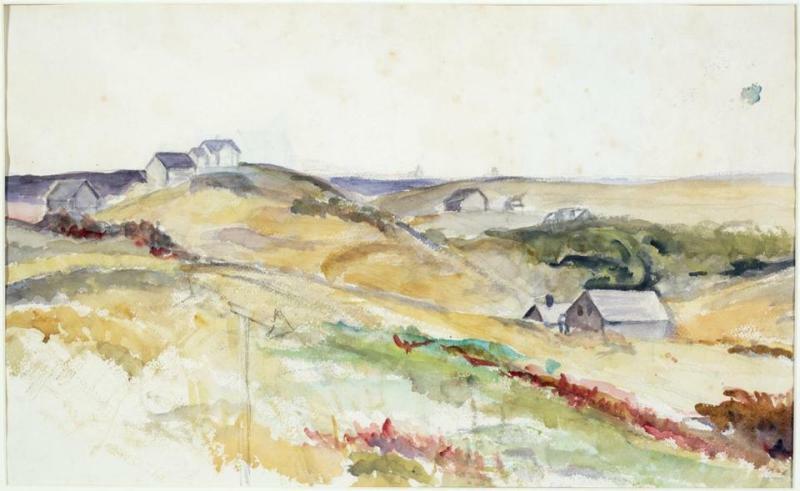 Earlier this year, the Provincetown Art Association and Museums announced its acquisition of 96 drawings by Edward Hopper, 69 drawings and watercolors by his wife, Josephine Hopper, and 22 diaries dating between from 1933-1956 chronicling the Hoppers’ lives on Cape Cod and beyond. Jo Hopper died in 1968 at the age of 84.